What’s Blizzard Entertainment waiting for? Isn’t it obvious that Overwatch would make a great movie? Why aren’t there any good movies based on video games? From the very first film based on Super Mario in the 80s to Ubisoft’s huge franchise based on Assassin’s Creed just a few weeks ago, we haven’t had a half-decent video game movie yet. None of them exactly screams classic, do they? We do have our own list of favorites but we probably like them for all the wrong reasons. My personal favorite is the first Mortal Kombat not because it’s a fantastic movie. I love it because of how gloriously goofy it is! What other movie has a guy doing the splits to punch a four-armed monster’s junk? Thankfully, there are so many potential games that have the chance to be that one game that finally breaks the glass ceiling and becomes the first in a string of really good video game films. For me, the one that has the most potential is Blizzard Entertainment’s most recent success, Overwatch. Blizzard already tried (and failed) making a movie based on Warcraft, another hot property of theirs, just last year. But I think they should get cracking on making a movie featuring Tracer, Widowmaker, Reaper, Winston and the rest of the Overwatch and Talon teams as soon as possible. Not later. Right now! It’s plain to see why Overwatch has the greatest potential to become the biggest video game movie. For one, it’s incredibly successful, both in the critical and financial sense. 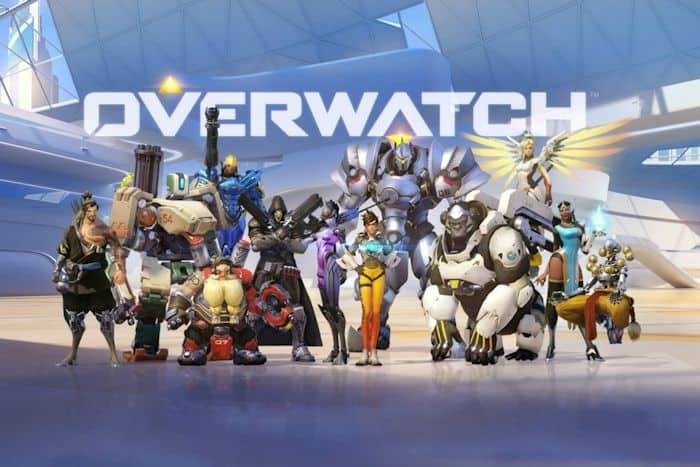 Overwatch was released to glowing reviews from different publications and even won a few Game of the Year awards along the way, thanks to really solid and balanced gameplay. The game also sold really well and has raked in over $200 million in digital sales alone! The Overwatch community is now a strong 20 million. With a community that big, how can Blizzard Entertainment not afford to strike when the iron is hot? I guess they kind of have the right to be hesitant after they tried with Warcraft last year. It wasn’t a bad movie; I’d say it was decent. But a lot of gamers had high hopes for the film as it did look good and, well, it’s freaking Warcraft! It’s a franchise that has layers upon layers of lore and a story so deep it could give Game of Thrones a run for its money. But that was actually part of the problem. Warcraft has built an incredible robust narrative for over two decades (yes, it’s been that long!) and they tried to condense most of that material into a two hour movie! Fans may recognize some of the references but most non-gamers got lost in all of the names, titles and locations thrown at them. In their zeal to get the approval of the gaming fanbase and cram fan service into the film, they forgot to pace the story and ease moviegoers unfamiliar with the source material into the world of Warcraft. This is actually one of the bigger problems of adapting something into a movie. You have to find that careful balance of fan service and tone as to appease the core audience as well as remove and change some of the more superfluous stuff as not to bog down the story. Film makers have generally gotten better and better at choosing what to leave in and cut out. I love the Lord of the Rings books but I think Peter Jackson did the right thing in leaving out Tom Bombadil from the live-action films. But this is where Overwatch is different from the other video game to movies we’ve gotten in the past: there isn’t much story to adapt. They don’t really need to tell a whole lot of backstory right now to show, which would work in their favor! Blizzard already did a fantastic job of setting up the entire Overwatch universe with their first cinematic trailer. Heck, they could just simply tweak that and make it the start of the film! Actually, the cinematic trailer as well as their other animated shorts are the prime examples on why Overwatch would make a great movie. The visuals are gorgeous! I’d actually have to say they’re Pixar quality. The character models are superb yet move fluidly. But the best thing with what Blizzard did with these shorts was how they managed to tell a engrossing story in such a short amount of time without really giving you a boatload of backstory of the characters. You just see and hear what each character is like and you can immediately fill in the blanks. Sure, these shorts are less than ten minutes long but it’s still amazing how much atmosphere and story they can fill within those shorts! With this in mind, I do have to say that it would be a bad idea to make a live-action Overwatch film. I mean, the animated shorts already look incredible! I already mentioned that these shorts are on par with Pixar’s more recent works. So why even bother trying to find the perfect actress that embodies the cheerful demeanor or Tracer or the scraggly look of McCree. I say Blizzard should downright avoid making a live action version of Overwatch. I don’t want to see any drama about social justice warriors or fans decrying Scarlett Johansson being cast as Pharah because she’s not Egyptian! No one needs that drama! If they do make a feature length film based on Overwatch, Blizzard may be tempted to make this really grandiose tale of political intrigue with dozens of twists and turns and with all characters getting their own story arc. This would be the wrong way to go, in my opinion. Not all movies need to have a lot of political intrigue or shocking twists. All they need to do is keep the story simple and focus on a few of the major characters. This may irk some fans of the less popular heroes but that doesn’t mean they won’t be given their time to shine. In my opinion, Blizzard should get their inspiration from 80s cartoons if they’re going to plot out an Overwatch movie. The plots were generally paper thin but just flat out fun and filled with action. Even if the stories were repetitive and just there to facilitate the action scenes, these 80s animated programs managed to introduce the characters and personalities without telling us each and everyone’s history. They just jumped right into the action, which definitely kept the pace moving and the action exciting! Heck, I would say to Blizzard to just copy the plot of the first GI Joe miniseries where Cobra creates the MASS device or the second GI Joe miniseries where Cobra develops the Weather Dominator, which actually told the same story. Both of them had the Joes and Cobra searching the world to get pieces to assemble their MacGuffin thingamajig. I don’t think it would be a stretch to see the Overwatch and Talon do the same. It would be a great excuse for the two groups to face off against each other and, since both Overwatch and Talon would have to send different members to different locations, everyone would be able to see their favorite heroes in action. It also leave the possibility to get some of them with intertwining backstories, like Hanzo and Genji or Reaper and Soldier: 76, to interact with each other. The Warcraft film was a solid outing but it should be a stepping stone for Blizzard. They should now see that they do have the potential to make another movie. And I sure hope they pick Overwatch to be their next film project.